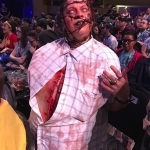 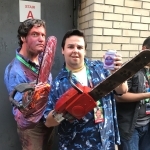 Each event inspired cosplay: Ash vs Evil Dead had chainsaw-armed hardware store clerks while manga fans wore anime-inspired costumes. 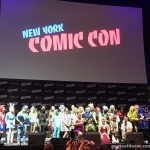 Thankfully, Deadpool and Harley Quinn took a step back this year (but were still present). 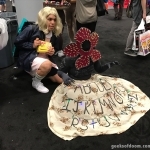 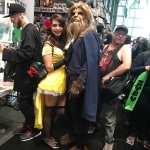 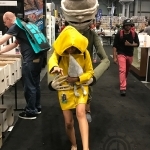 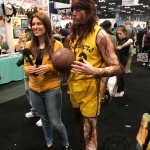 Popular cosplay this year were Wonder Woman, Eleven (from Stranger Things), and couples made Starlord and Gamora from Guardians of the Galaxy trendy. 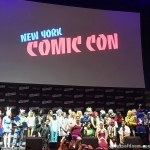 All the Marvel characters from the ever-growing MCU were there, and old DC favorites Batman and Superman never go out of style. 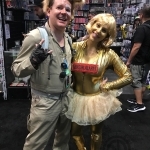 My favorite was the couple who went as Barf and Dot Matrix from Spaceballs. 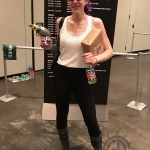 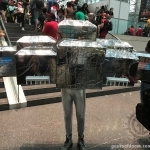 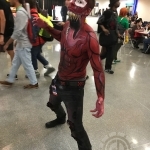 Someone even dressed as the Javits Center itself. 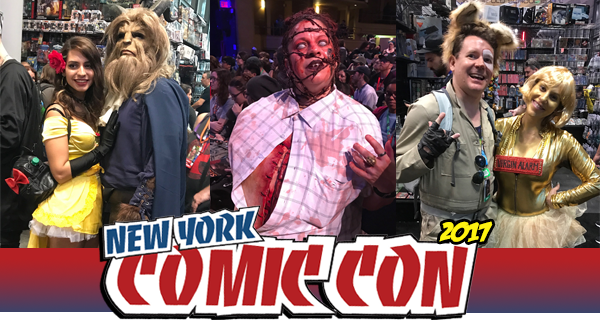 Keep it here at Geeks Of Doom for our on-site coverage of NYCC 2017 and follow us on Facebook and Twitter for updates.